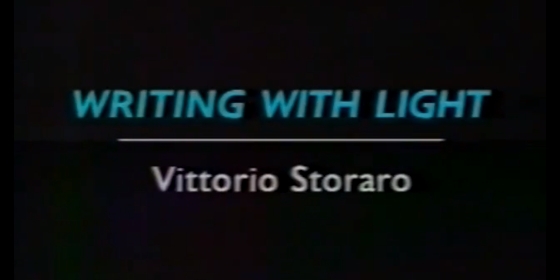 A 1992 documentary about cinematographer Vittorio Storaro provides a fascinating insight into his working life. Best known for his work with Bernardo Bertolucci, Francis Ford Coppola and Warren Beatty, he is one of the greatest of his era. This 55 minute programme features interviews with the man himself and his collaborators, interspersed with footage of him working on several films. Legendary cinematographer Gordon Willis recently sat down with Craft Truck for a lengthy interview about his career. In the first video he discusses his work on such films as The Godfather (1972), Klute (1971), Manhattan (1979) and Annie Hall (1977). Plus, he also talks about his thoughts on editing, the importance of simplicity and ‘dump truck directing’. In the second, he talks about Stardust Memories (1980), The Godfather II (1974), lenses, Francis Ford Coppola, All the President’s Men (1976), Interiors (1978) and The Devil’s Own (1997).